Are you wondering why your competitors’ websites rank higher than yours in Google searches or other search engines that are related to your business? Are you looking for more online customers, but just can’t connect with them? Gaining visibility for your website in this cut-throat modern day world of online business can be an uphill battle. There are hundreds of competitors to deal with, which means your page will be drowning in a sea of countless search results and more often than not will go by unnoticed, no matter how good the content might be. This is precisely why JKD (Jimmy Kelley digital) exists; to help you navigate through the rough and murky waters of the internet and to blast your website through the pesky Google ranking barrier, catapulting you to the top of the list in as little time as possible. Over the past three years, Jimmy has meticulously trained his team using his self-developed and industry-tested ranking methods. Keeping abreast of the ever-changing algorithms of search engines ranging from Google to Bing; virtually any search engine known to man falls under our jurisdiction. Therefore, we constantly adjust our strategies according to the shifting priorities of the web – meaning we always stay head and shoulders above the rest. It doesn’t matter your scale of operation, we will get you the recognition you require. Whether you are looking to make it on the local scene or aiming higher at international conquest, we’ve got you covered! We not only do the hard work for you but also teach you web page optimization skills. With numerous free site optimization tips on JKD coupled with guidance from our experienced team of professionals, you are certain to know how to be successful even when we are no longer looking over your shoulder. Our team first learns about the structure of your website and then comes up with a customized integration of various methods that are aimed at playing to your website’s strengths. What’s more? All our techniques adhere to a strict code of conduct and as a result, you’ll always be in good standing with Google while you’re with us. As a testament to our prowess in the industry, JKD has under its belt over a thousand successfully trained students and many more current learners under its wings. One such example is Gary Joseph. He had tried out five different coaches in a bid to improve the standings of his blacklisted website; however, the only one who made any progress was Jimmy Kelley. After just a couple of private sessions with the master himself, Gary was able to push his site three pages higher in Google rankings on the basis of main keyword standings alone. Another student, Nick Coburn, took heed to Jimmy Kelley’s suggestions and by the end of his first day of implementation, his website had jumped from oblivion into second place! Adam Lever can also attest to JKD’s ability to bring websites back from the dead. His website was on Google’s wrong side, however, with Jimmy’s help, his site is ranking higher in the standings than before, with numerous commendable page listings to match. JKD has been in this business for years and you need to look no further than the countless grateful reviews on the website to get a view of how effective our techniques are. There are millions of sales pages out there, however unlike the others, we promise heaven and duly deliver! What’s more, our rates are among the best in the business and we offer a free estimate and feedback in less than 24 hours after contact. What’s more? In addition to SEO services, we offer a number of consultations, effective tips and webinars at no charge at all. If you like what you see, which we are certain that you will, then you can enroll for more advanced sessions. Alternatively, talk to us via email or phone; we are always at the ready to answer all your questions. JKD is an search engine marketing firm founded by Jimmy Kelley, one of the most skilled search engine ranking ‘code-breakers’ in the world. Search engine optimization changes weekly as search engines like Google and Yahoo update their algorithms. New Google patents that effect the search engine are added and updated every week. 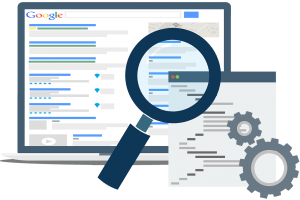 It is important that your search engine auditor understands the subtleties behind these changes in order to maintain your website rankings. Millions of people use Google, Bing and Yahoo in order to research products and services before making purchasing decision. Most of the traffic on these search engines will come to your website only when you are on the first page for a given keyword result. For some keywords, having first page rankings can be worth tens of millions of dollars per year. One way to determine the value of a keyword is to use TSMV or Total Search Market Value. The Total Search Market Value of keyword is determined by the number of visitors multiplied by the cost per click. Keywords that have buyers intent can drive thousands (or even millions) of monthly visitors to your website if you are ranked within the top 3 to 5 positions on Google, Bing and Yahoo. Jimmy Kelley has trained thousands of SEO students worldwide. The many ranking methods he has taught over the last 3 years simply work. Innovation is always happening at JKD. Here at JKD, we keep abreast with the ever-changing algorithms of a host of search engines ranging from Google to Bing; virtually any search engine know to man falls under our jurisdiction. Therefore, your website will constantly be adjusted and modeled after these shifting priorities meaning it’ll always stay head and shoulders above the rest.